My aquatint print "Axan" will be showing at Site:Brooklyn. Search for: "TORNADi" , "Ben Hilario-Caguiat" or "TORNADi by Ben Hilario-Caguiat Fine Art" in the Foursquare App. 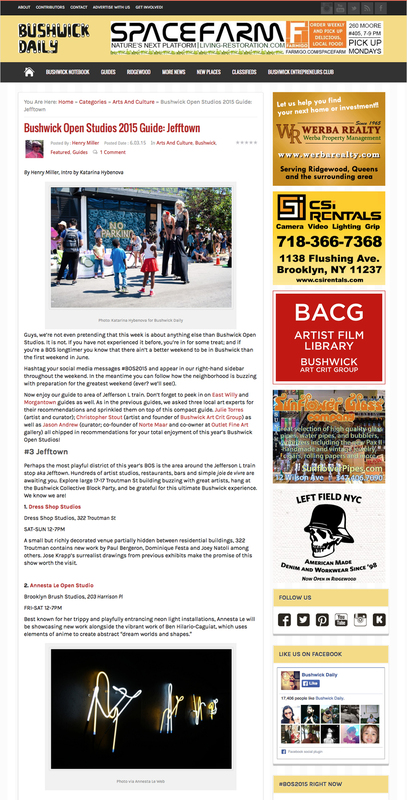 Bushwick Open Studios 2015 - Article and Mentions. I'm on the Artist Board Woot! #106 - First names starting with "B"
Please enjoy my new Mixed-Media works using various techniques. See TORNADi Art in public spaces.